Chhattisgarh became a new state of India on November 1, 2000 after splitting from Madhya Pradesh. 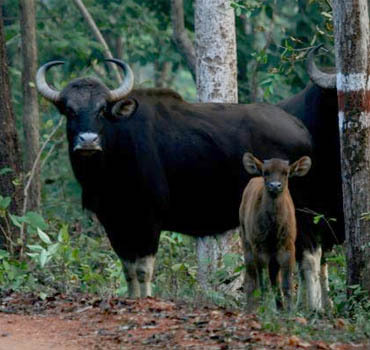 The total area of Chhattisgarh is 135,191 sq km, which is only 30% of Madhya Pradesh. The demand for this new state arose from the meeting of Raipur District Congress in 1924, where the idea of creating separate Chhattisgarh state was kept. The leaders who had come to this meeting thought that Chhattisgarh was very different from historical and cultural form in Madhya Pradesh. The capital of Chhattisgarh is Raipur and its high court lies in Bilaspur. There are total 27 numbers of districts in Chhattisgarh.There are 90 members in the Legislative Assembly of Chhattisgarh. From this state 11 members of the LokSabha and five members go to the RajyaSabha. 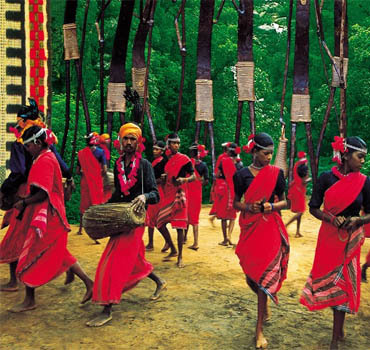 Chhattisgarh has fabulous history which is connected to the Ramayana and Mahabharata period. 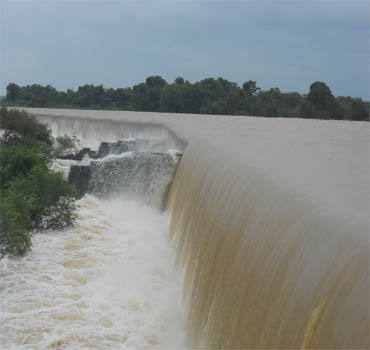 The old name of Chhattisgarh was South Kaushal and its history dates back to 4 century AD. Haiyya empire ruler over Chhattisgarh for 6 centuries. And by middle ages, the Chalukya Empire recognized itself in Baster. In 1741, the Marathas took away this family from the Hayes rulers. After the Marathas got victory over this state in the year 1745, the last successor of Ratanpur house Raghunath Singh jienforced to leave that place. Finally in 1758, the Marathas captured Chhattisgarh and declared Bimbo Bhosaleas the ruler. After the demise of Bimbo Bhosle, the Marathas started ensuing the district system. This was the age when there was strife and unhappiness all over. The Maratha army then had mass looted. 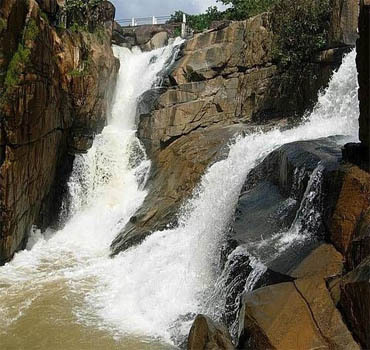 Chitrakot Waterfall : Chitrakot cascade of Chhattisgarh's Bastar district is a major attraction. The length of the waterfall is 29 meters. The main thing is that the color of its water changes in every season. 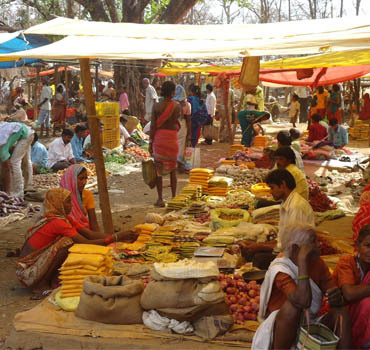 Kanker : Kanker is the true gem of Chhattisgarh crown. Kanker is a unique old town with unique natural beauty. This city is about 1,000 years old. 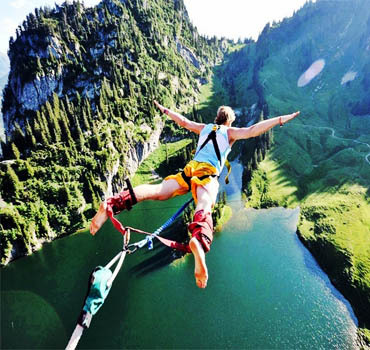 People from all over the country come to see the scenic forests, waterfalls and natural beauty of this city. There is also an ancient palace in Kanker which was once owned by the princely state here. Boramadev : It is also called Khajuraho of Chhattisgarh for its similarity with Khajuraho. Bhoramdev temple is in the district of Kabirdham in the state. It is a Shiva temple and in the outer part is the beautiful carving of statues. 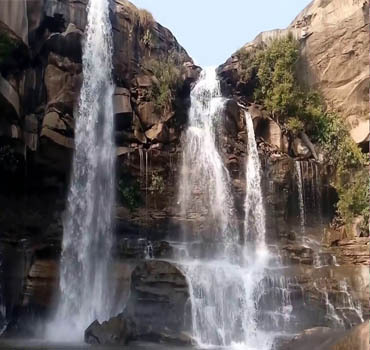 Hot water Cascade : There is a hot spring named Tatt water in the Surguja district of Chhattisgarh. 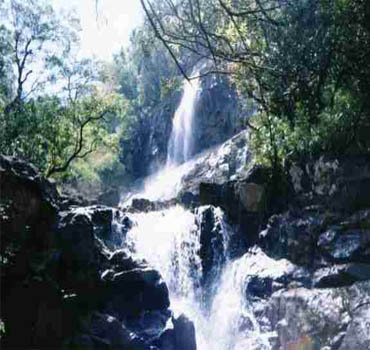 It is believed that this waterfall has many medicinal properties and it flows year after year. 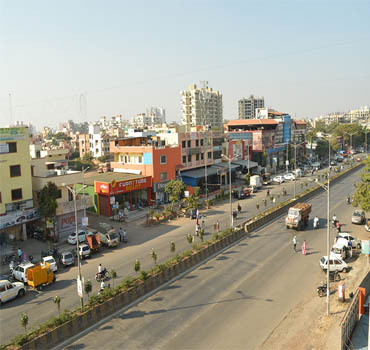 Chhattisgarh has a urban population of 23.4 %(around 5.1 million individuals in 2011) dwelling in urban zones. 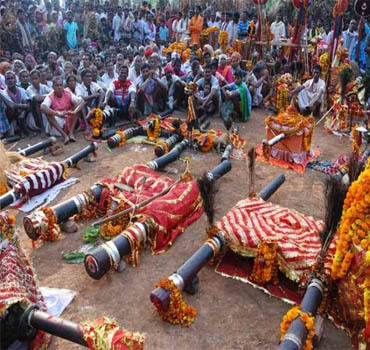 As per a report by the administration of India, somewhere around 34% are Scheduled Tribes, 12% are Scheduled Castes and more than half have a place with the official rundown of Other Backward Classes. The fields are numerically commanded by stations, for example, Teli, Satnami and Kurmi; while backwoods territories are for the most part possessed by clans, for example, Gond, Halbi, Halba and Kamar/Bujia and Oraon. A vast network of Bengalis has existed in significant urban communities since the seasons of the British Raj. They are related with instruction, industry and administrations. How to reach Chhattisgarh by Air : Due to being a new state, Chhattisgarh air network is weak. Raipur is the only city in Chhattisgarh that is connected by air. Raipur air connectivity is connected to Delhi, Mumbai, Jaipur, Nagpur, Bhubaneswar, Kolkata, Bhopal, Indore, Gwalior, Ahmedabad, Visakhapatnam, Hyderabad and Bangalore. How to reach Chhattisgarh by Train : It is very easy to travel by rail in Chhattisgarh. 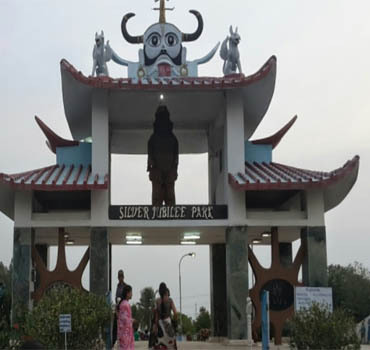 Bilaspur, Durg and Raipur connect Chhattisgarh with almost every major city. 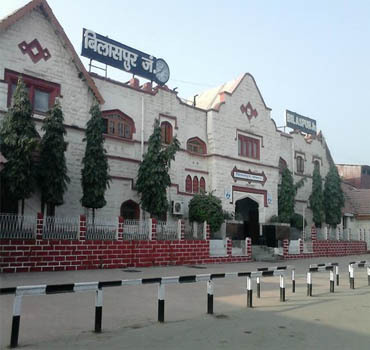 The center of the state's rail network is Bilaspur, as it is also the zonal headquarters of the South Eastern Central Railway. How to reach Chhattisgarh by Road : In the past few years, the road network of Chhattisgarh has improved greatly. There are several national and state highways, which connect Chhattisgarh to other parts of India. Some of the major National Highways passing through Chhattisgarh are: National Highway 6, National Highway 43, and National Highway 78. There are 11 national highways in the state. Chhattisgarh is landlocked states of India. 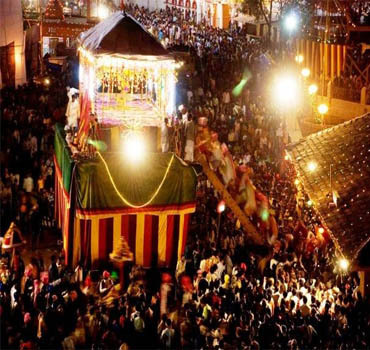 It is also growing in admiration as a gorgeous sightseer spot but not only as India's eco-tourism destination. This holiday attracts tourists for their hard forests, fountains of waterfalls, splendid caves, rich temples, exquisite Buddhist sites, impressive palaces and many others. Chhattisgarh in summer is 28°C-38°C in April to June. Chhattisgarh in monsoon is 25°C-29°C in July to Sep and Chhattisgarh in winter is 19°C-35°C in Jan to March.